Perfect in any setting including reception rooms or lounges. Wood veneers and solid woods are fine finished with durability suited to everyday commercial usage. Easy to assemble just attach legs. 1¼” thick surface with solid wood reeded edge detail. Perfect in any setting including reception rooms or lounges. Wood veneers and solid woods are fine finished with durability suited to everyday commercial usage. For use with all Alera® Reception Lounge and Verona Series furniture. Easy to assemble just attach legs. 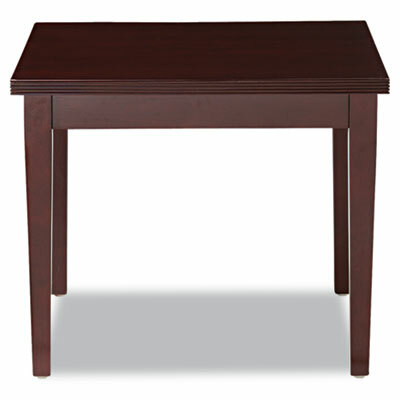 1¼” thick surface with solid wood reeded edge detail.